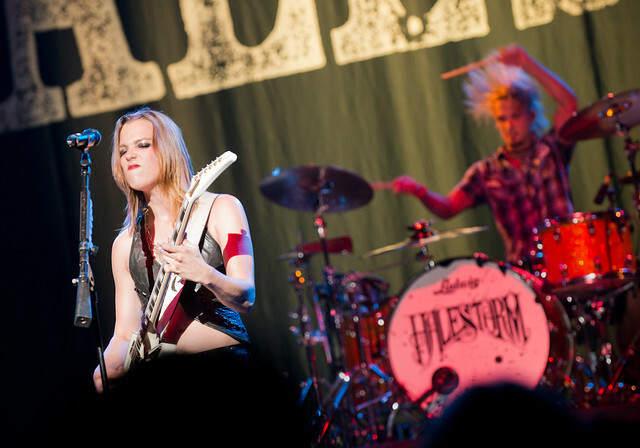 Halestorm will set off to the UK in April for their headlining tour. Hard rockers Halestorm, today, premiered their new video for "Mz. Hyde" off their 2012 album The Strange Case Of... which is the same album that spawned their Grammy winning song "Love Bites (So Do I)." That album ended up reaching #15 on the Billboard 200 chart and topped Billboard's Hard Rock Albums chart. Arguably the hardest working band in music, Halestorm are about to jump across the pond (again) for a 21-date European headlining tour beginning this April. Check out the new video below which had its world premiere at the Official Halestorm Fan Club site.